Mid terrace Bed & Breakfast property converted over ground, first, second floors and basement. The vendors have completely refurbished the property throughout to provide 10 ensuite letting rooms in addition to lounge and dining room to the ground floor, with fitted kitchen and owner/management accommodation beyond, with an additional two bedrooms and bathroom to the basement. Externally parking for a number of vehicles is provided to the front. 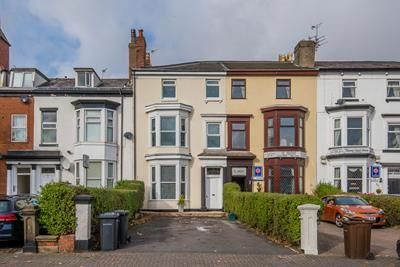 In addition to the recently completed refurbishment the property is also to be sold with a comprehensive inventory of various fixtures and fittings that are to be incorporated with the sale, to include new beds, tv's, bedroom furniture, carpets etc. An inventory is available on request. 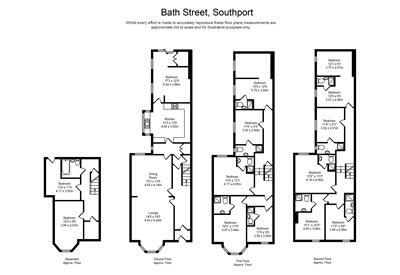 Property descriptions and related information displayed on this page, with the exclusion of Running Costs data, are marketing materials provided by Fitton Estates, and do not constitute property particulars. Please contact Fitton Estates for full details and further information. The Running Costs data displayed on this page are provided by PrimeLocation to give an indication of potential running costs based on various data sources. PrimeLocation does not warrant or accept any responsibility for the accuracy or completeness of the property descriptions, related information or Running Costs data provided here.